Dog snacks help reinforce the special bond between you and your four-legged friend. 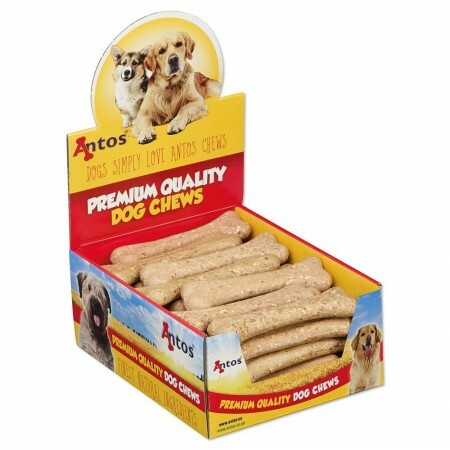 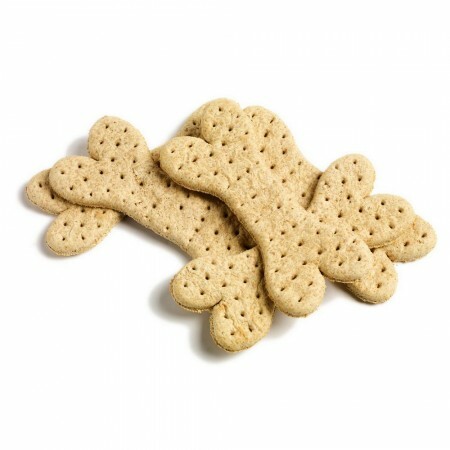 Your dog will jump for you with delicious Antos snacks that help him or her stay healthy and happy. 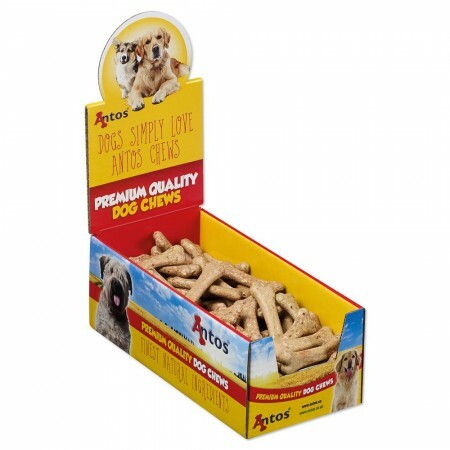 These premium quality snacks are tasty treats that satisfies and nourishes in every bite. Our range of Antos snacks come in all sorts of bones and sticks, so it is easy to find the perfect snacks for your canine. Treat, train and reward your dog with delicious snacks. 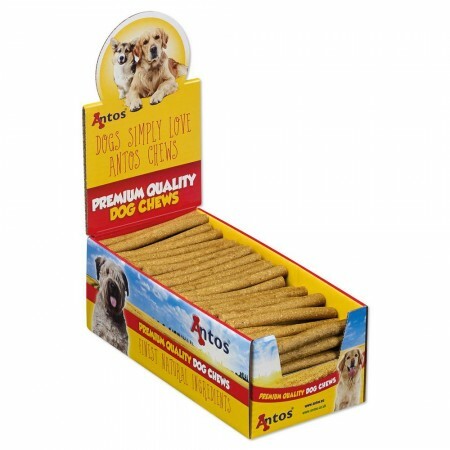 Dogs love our tasty flavoured Chicken Sticks. These meaty treats are made with high quality ingredients for an irresistible flavour. Ideal for feeding as a daily treat or reward between meals. The Chicken Sticks are a complementary feed, satisfying your dogs natural urge to chew. 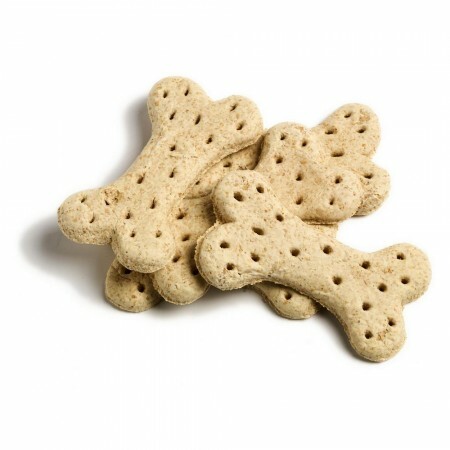 Our Meaty Bones are perfect for the most energetic of chewers. 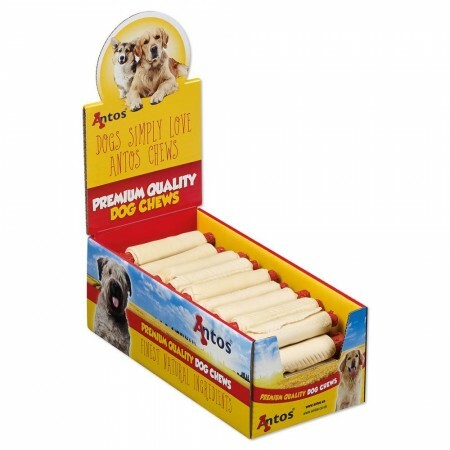 These rawhide bones are long-lasting, high in protein and low in fat. 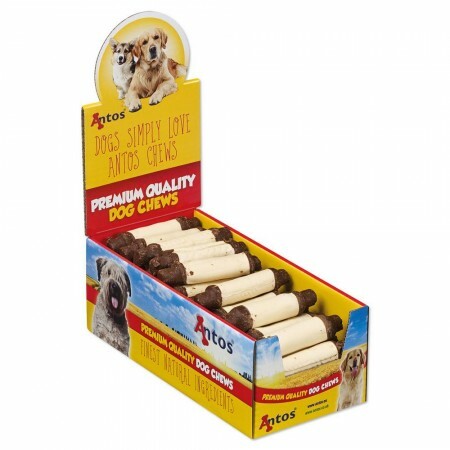 Your dog will love this tasty, yummy bone. Made from 100% natural rawhide, this chew is both hard and durable and comes in a choice of flavours and sizes. 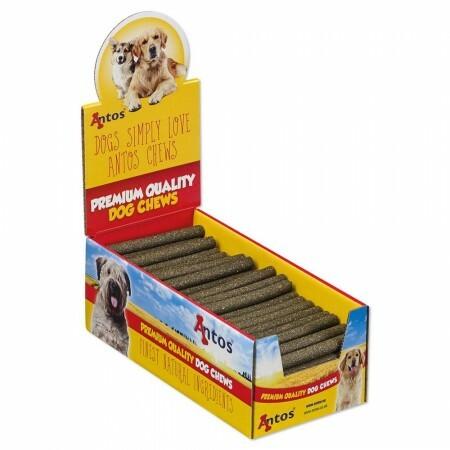 Meaty Bone Dental is made from ground rawhide with added mint flavour to support clean teeth and fresh breath with every bite. The bones are highly digestible and do not contain any cereals, sugar or chemicals.